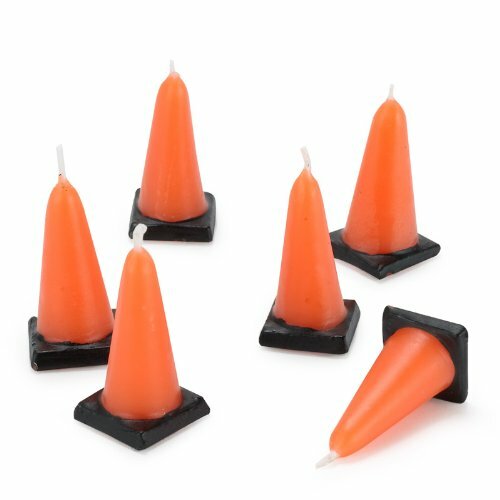 Includes 6 orange cone construction candles. Made of wax. Measures approximately 2″H.